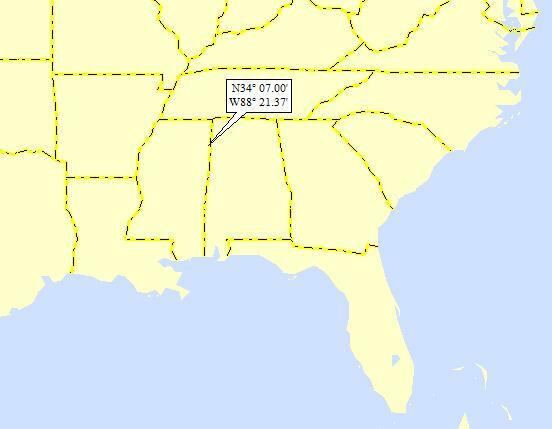 Dan – Today’s landing is in the SB (a new abbreviation meaning “Southern Block” of USers) . . . MS; 28/29 (barely . . .); 6/10; 6; 152.2. 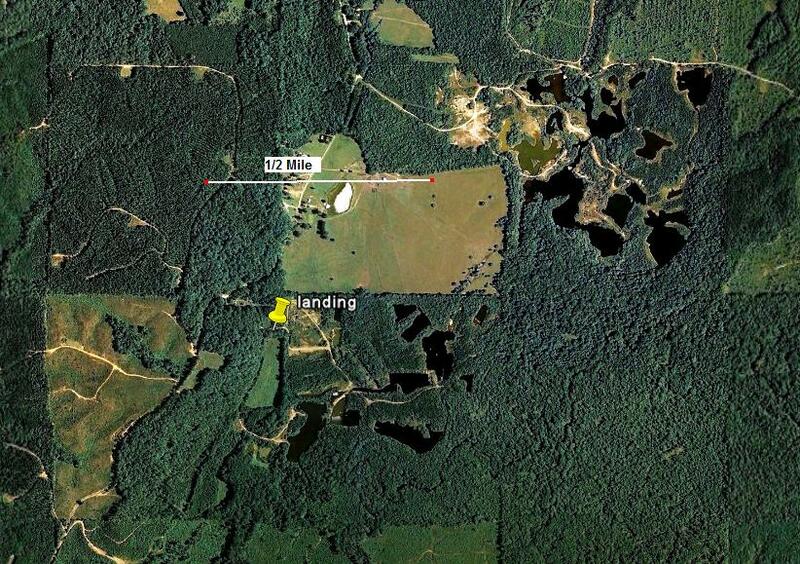 The large river just west of my landing is the Tombigbee R (7th hit); on to the Mobile (20th hit); on to Mobile Bay. Here’s my GE shot, showing I landed in a mostly-wooded area. Notice all of those ponds? My guess is that they’re sand and gravel pits that have been abandoned and then flooded. It’s common for sand and gravel pit operators to dig below the watertable, pumping the groundwater out as they go. Then, when pumping gets too expensive, they turn off the pump, and voila – a pond. I wonder what that large field is, just north of my landing? 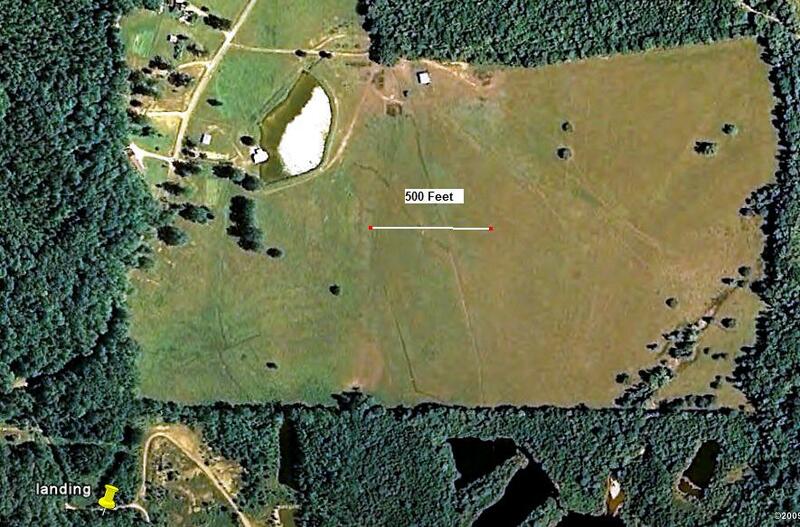 No row crops – maybe a cow pasture? Here’s a close-up, showing what looks like a house perched right on the edge of a pond (the white is sunlight reflected off the water). If that’s a backyard, it’s a lot to mow! Smithville was first used as a trading post as early as 1820. The land where Smithville stands today was first owned by a Chickasaw Indian by the name of Cochubby, who had received the land through the Pontotoc Treaty. 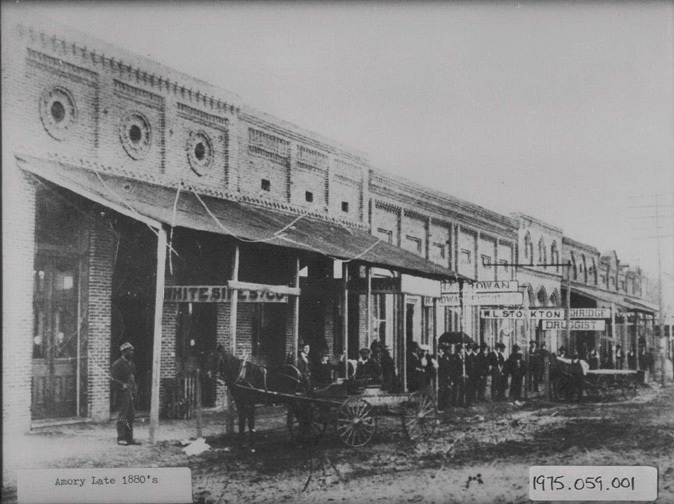 Cochubby later sold the land to a man by the name of Couch, who sold to a man by the name of Evans who sold to a man by the name of Smith (who was honored by having the town named after him). Smithville has enjoyed the longtime services of several doctors. 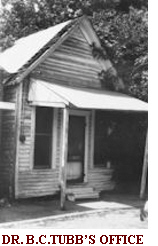 One of them, Dr. B.C.Tubb, practiced for 65 years before his death in 1973. I love it!! Seems like his rates must have been pretty reasonable . . .
Lucille Bogan (April 1, 1897 – August 10, 1948) was an American blues singer, among the first to be recorded. She also recorded under the pseudonym Bessie Jackson. 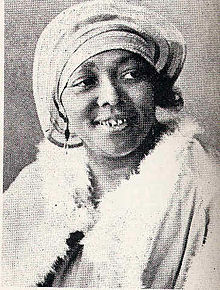 Bogan sang straight-talking blues about drinking (“Sloppy Drunk Blues”), prostitution (“Tricks Ain’t Walking No More”), gambling, lesbianism and other facets of what her generation called ‘the life’. 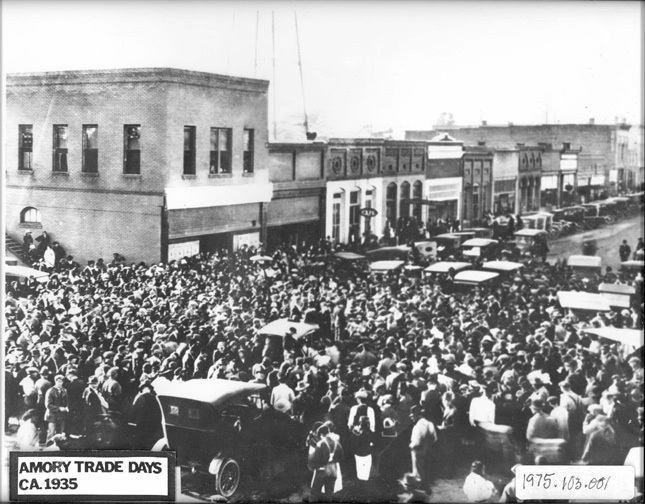 And this, a shot of Amory “Trade Days” in 1935 – Amory was a happenin’ place! The United States is served by an extensive inland waterway system unparalleled in the World. 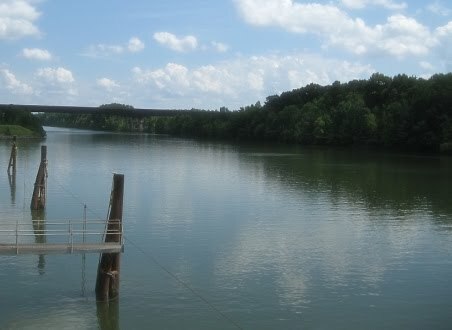 Completed in December 1984 after 12 years of construction at a cost of nearly $2 billion, the Tennessee-Tombigbee Waterway is one of the most modern components of this world class transportation network. 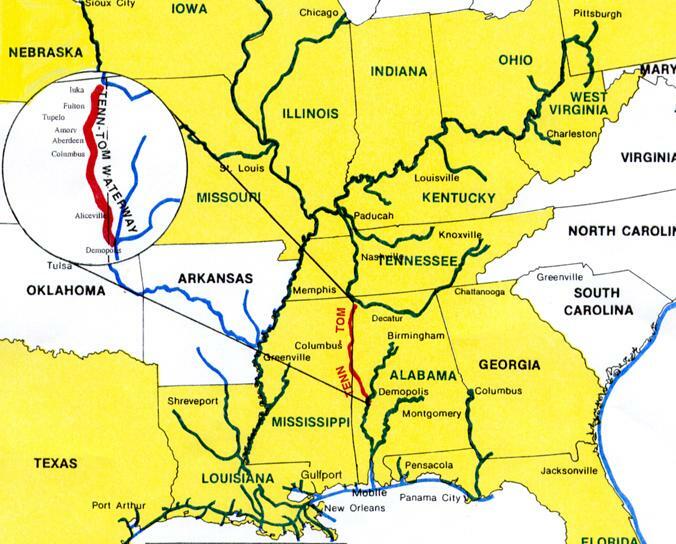 It provides a low cost and energy efficient trade link between the Sunbelt states and 14 river systems totaling some 4500 miles of navigable waterways that serve mid-America. Ten years of work, at a cost of nearly $500 million, were needed to excavate a canal through the divide that separates the watersheds of the Tennessee and Tombigbee Rivers. The deepest cut is 175 feet and the average depth of excavation along the entire 29-mile reach is 50 feet. While the breadth of the cut at the top of the natural terrain is nearly one-half mile wide, the canal itself is 280 feet wide and 12 feet deep. The 150-million cubic yards of earth removed (nearly one and one-half times that excavated in building the Suez Canal) were carefully deposited and landscaped in the valleys along the canal. This successful disposal of so much excavated soil solved one of the most potentially serious environmental problems confronting the construction of the waterway. Wilkins Lock has a lift of 25 feet and cost $34 million. It is located in northern Monroe County near Smithville, Mississippi The Lock is named after a former administrator of the Tenn – Tom Waterway Development Authority, who was instrumental in making the waterway a reality. I find it amazing that this old-school type of project was completed in 1984! I wonder if, with 20-20 hindsight, it was worth it? This entry was posted on January 18, 2010 at 4:18 pm	and is filed under Uncategorized. Tagged: Amory Mississippi, Amory MS, Lucille Bogan, Smithville Mississippi, Smithville MS, Tenn-Tom, Tennessee Tombigbee Waterway, Tombigbee River. You can follow any responses to this entry through the RSS 2.0 feed. You can leave a response, or trackback from your own site. 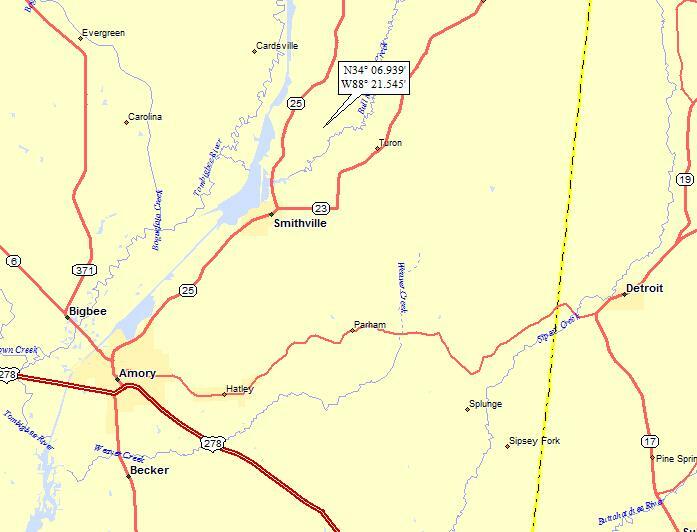 April 27, 2011 an EF5 tornado destroyed most of Smithville, MS. Six months later the town is trying to rebuild. You can see a lot more on Google. Rita – Thanks for the update, although it’s so sad. I certainly wish Smithville luck in getting back on its feet . . .
Dudley – I love it when I get some local, knowledgeable feedback. Very cool that you actually knew Dr. Tubb. As for using the picture – I don’t recall where on the internet I got it (and back in 2009, I wasn’t very good about including photo references), but as far as I’m concerned, you’re free to use it as you wish.